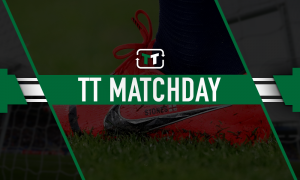 Reality check: Old Leicester antics may suggest life under Ashley isn't that bad for Newcastle | The Transfer Tavern | News, breakdown and analysis on all things football! Newcastle United have never played in the third tier of English football, but older fans will travel to Leicester later, reminiscing about the game between the two that kept that record in tact, and probably saved the club from going out of business. When Ossie Ardiles was sacked by Newcastle after a dismal 5-2 defeat at Oxford United, The Magpies found themselves second bottom of the table, four points adrift of safety, and looking doomed to be dropping down into the third division for the first time in their history. 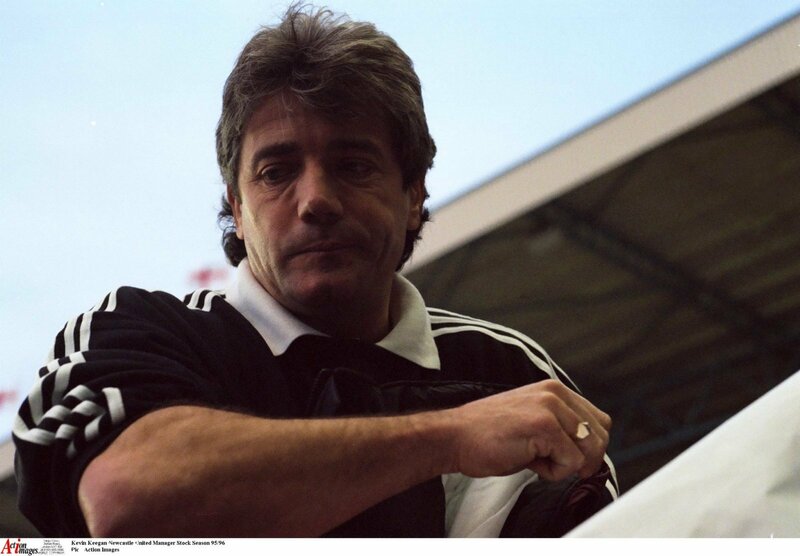 When a hastily arranged press conference took place, and the next Newcastle manager, Kevin Keegan, walked in, it left the football world gasping. Little did anyone know what the next few years would have in store for the club, but at that time, Keegan, along with his number two and friend, Terry McDermott, had one task on his remit — to save Newcastle United. Keegan lost just two of his first nine games in charge, and things were looking better for the Toon, who had climbed above rivals Sunderland with a 1-0 win over their arch enemy, and a full five points clear of the drop-zone. But a 6-2 defeat by Wolves began a five-game losing slump, that saw Newcastle back in the relegation mire. They were third bottom with 46 points — the same number as Oxford a place above them in safety. 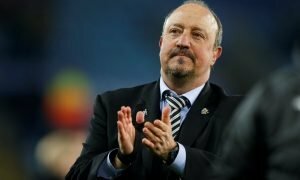 Newcastle squeaked to a 1-0 win over Portsmouth in their last home game of the season, which meant Keegan’s side went to Filbert Street in the last game of the season, in 20th spot, just two points above the bottom three, with Plymouth Argyle a point behind them, and Oxford a further point back. If results went against them, Newcastle would go down, so it was a tense atmosphere for fans before the game. Leicester were second in the table, and looking to secure promotion, with Derby and Middlesbrough two and three points behind them respectively. So it was a massive game, with everything on the line for both sides, although Leicester were odds-on certainties to win — but Keegan and Newcastle had not read the script. In a tense first half, Gavin Peacock latched onto a dreadful back-pass on the stroke of half-time to chip the advancing goalkeeper, and give Newcastle a shock 1-0 lead. The Newcastle fans were delirious, while the home fans were in a state of disbelief. The tense feeling around the ground continued throughout the second half, and it looked like Keegan had worked the miracle, and staved off any threat of relegation, as the game moved into injury time. But there was despair for the travelling Geordies, when big centre-back, Steve Walsh, leapt above the Newcastle defence to smash a header in, leading to scenes of pandemonium in the ground, with jubilant Leicester fans running onto the pitch, their promotion dream alive again. When they were shepherded from the playing area the game kicked off again, with just seconds left. But fate still had a twist in its tail, when Foxes goal hero Walsh got on the end of a desperate Newcastle punt up-field, and mistimed his header, and in a last-ditch attempt to nudge the ball back to his keeper, and away from the chasing Peacock, he poked it into his own net. Newcastle were back in front, as the home fans ran onto the pitch and made a bee-line for the celebrating Newcastle support, leading Keegan to take his players off the pitch. Referee, David Elleray, ended the game and Newcastle were safe, but the result meant Leicester dropped to fourth, with both Middlesbrough and Derby winning, leaving them in the play-offs, in which they lost the final against Blackburn. As bad as things seem now for Newcastle fans under Mike Ashley’s ownership, there are a generation of fans who will look back to these times, and recall that things were a lot worse then, than they are now. What happened after that season is legendary now, with a title-winning season the next year, and then Keegan’s Entertainers were born. 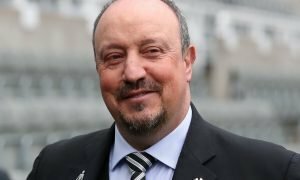 How Newcastle’s loyal following would love to think a similar win at Leicester this week could kick-start a chain of events like they did on that special weekend in 1992.